Sometimes I just want the experience of drawing directly from my interior. Like when you see a shape in a cloud formation. It is fun and the unexpected is expected. 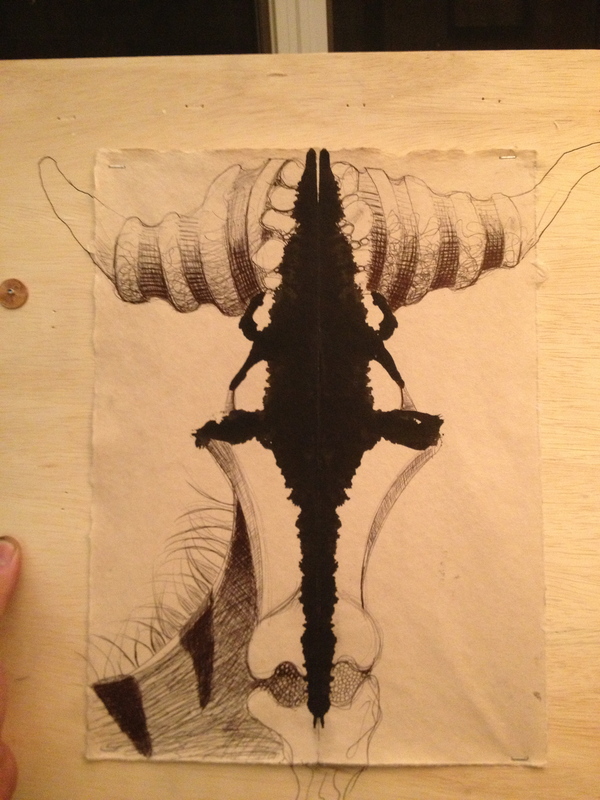 I do an ink blot and then let it dry and put it in a drawer. Then when I need to draw like that I pull it out and spontaneously make something. My mood always gets transferred in strange and unpredictable ways.